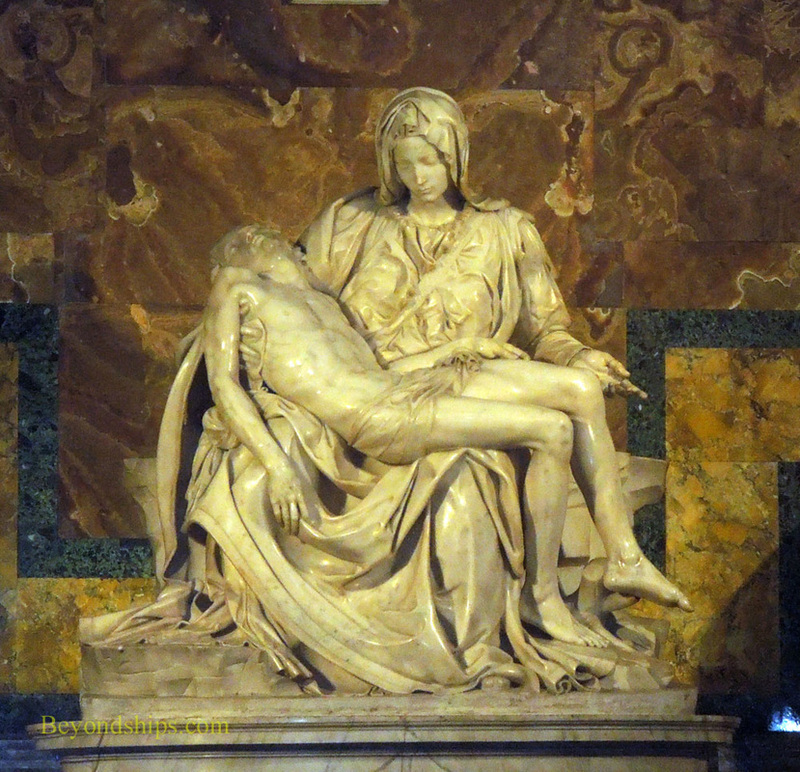 Above: Michelangelo's Pieta near the entrance to St. Peter's Basilica. 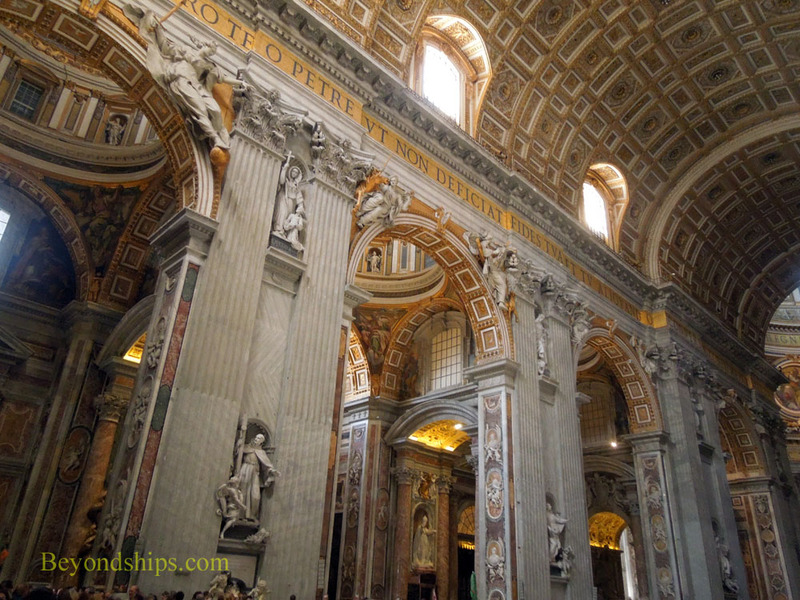 Inside, St. Peter's is magnificent. First, there is the scale. The building soars upward and towers over you. It is a vast space, which overwhelms. Then, there is the decoration. Works by Michelangelo, Bernini and other first rate artists. Sculptures, mosaics, gilding, marble and architectural features. It is opulent but it is an opulence born of spirituality. The artists were inspired by their spirituality to create and the beauty of their work transcends formal dogma. Thus, the interior can be appreciated by all. The interior of the building follows the outline of a Latin cross. Bramante had originally envisioned it to be in the shape of a Greek cross but Michelangelo decided on the more elongated form. The nave leading to the center has a barrel-shaped ceiling (left). Leading off of it are a series of chapels. Atop the center of the church is the great dome. It rises some 450 feet from the floor of the Basilica to the top of the cross that crowns it. 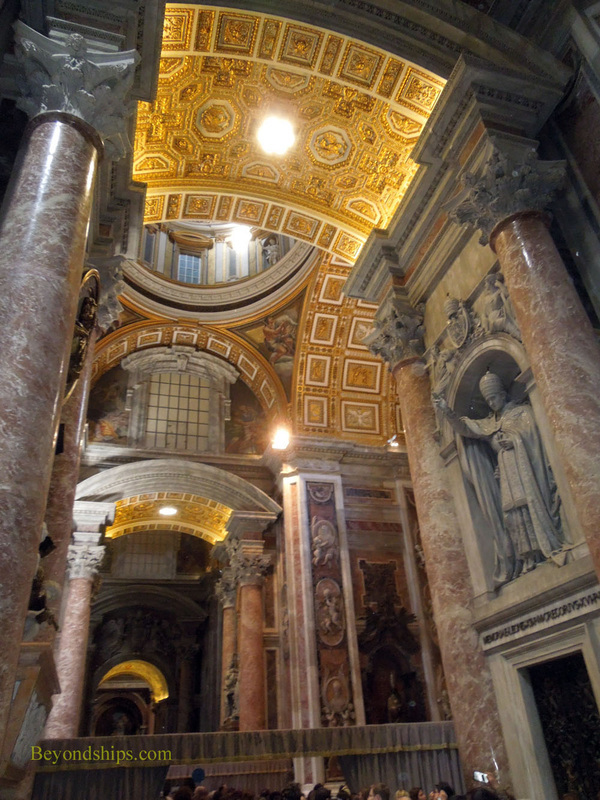 Directly under the dome is the Papal Alter, where only the Pope can celebrate Holy Mass (left). 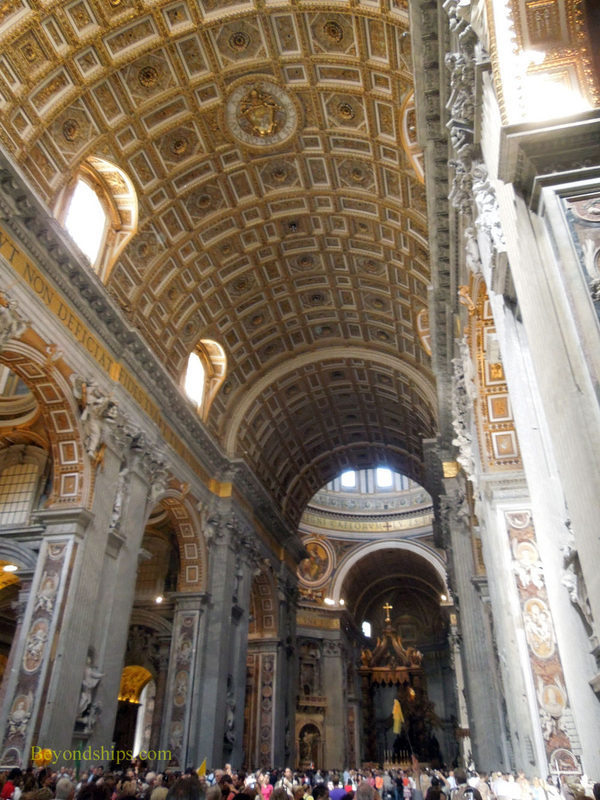 The 95 foot high canopy was designed by Bernini. 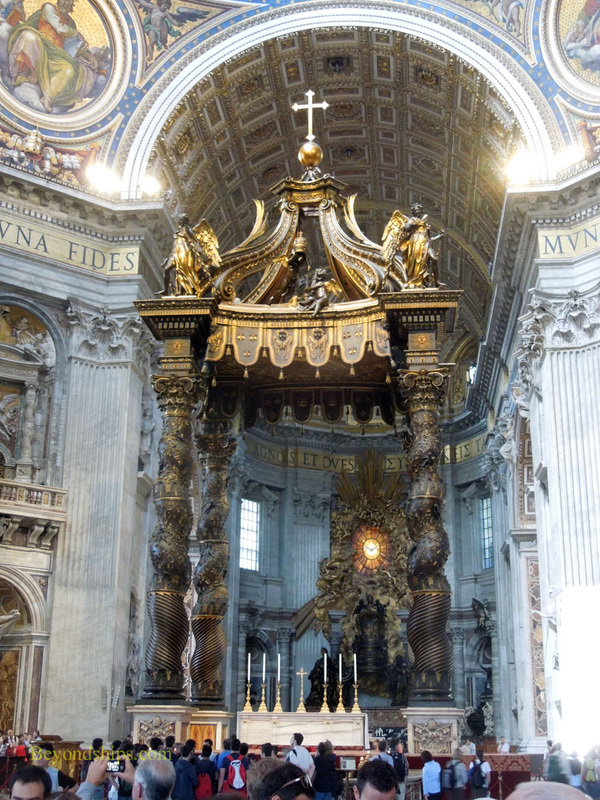 Underneath the alter is the tomb of St. Peter. 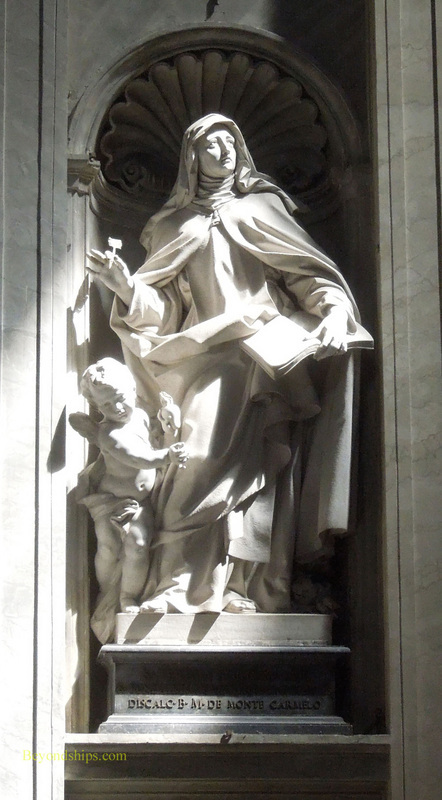 Above: Statue of St. Peter by Arnolfo di Cambio. 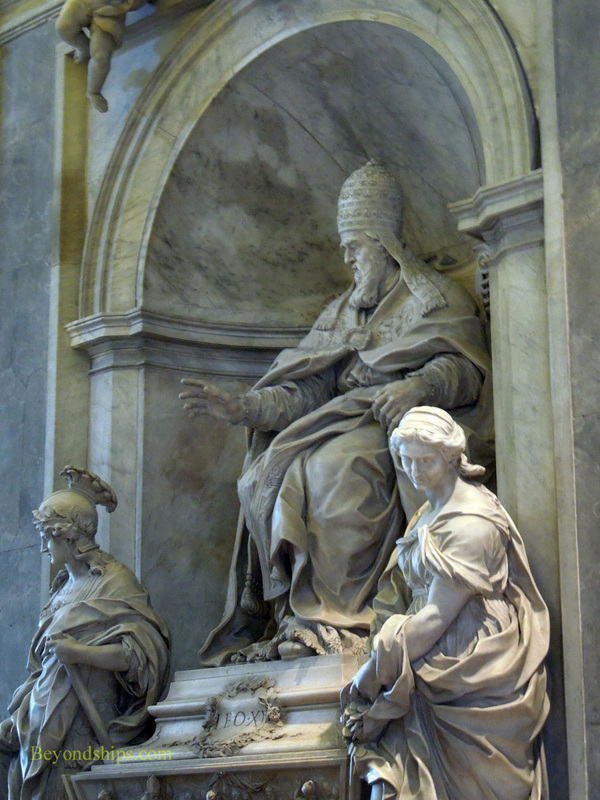 Above: Pope Leo XI by Alessandro Algardi.